Mix and it is now available on Android devices. 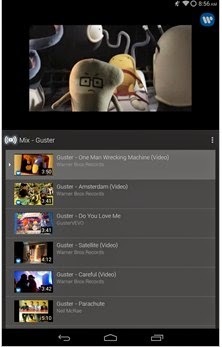 So, with the Youtube mix feature on Android you can simply enter an artist's name and Youtube will auto-generate a playlist of the artist's song with a click. This will definitely be in favour of popular or well-known artists with many songs on Youtube coupled with high number of views, that's in my own opinion though. Lastly, according to Android Police, you don't need to update your current Youtube application because the feature will be implemented on the server instead.